Although the RFID cashless money-loading system was great in theory, it actually put a damper on the experience from the get-go on an already unseasonably hot day because it forced people who had already purchased tickets to wait in an airport security-esque line to get wrist bands and load funds. Look, I get that you are prepping tacos en masse and that you can’t exactly make food to order. That’s why I’m willing to see past the pickled onion and mushrooms in this taco, as well as the fact that seemed be a bit cooled off despite the billion degree weather. Because at the end of the day, this was an amazing homemade tortilla with perfectly braised machaca on top. Unlike most vendors, Creations by Sergio is not a restaurant, but a catering company. 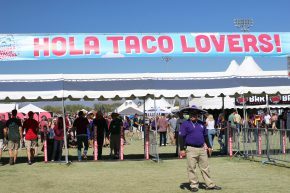 At the taco fest, Sergio went for quality over quantity, churning out little tacos with a punch of taste. 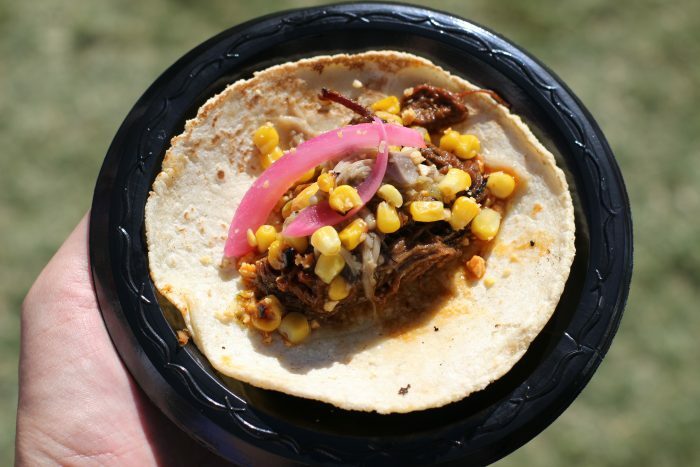 The barbacoa taco was packed with flavor and amazingly tender meat. Plus, there was no fancy business with toppings, opting to go for the classic street style of onions and cilantro. I’m not normally a fan of kimchi, and Crujiente Tacos did nothing to change my opinion in that regard. But I had to try their Pork Belly Taco despite the kimchi because it just sounded like a nice change of pace (and perhaps because I subconsciously miss all the Korean food in LA). 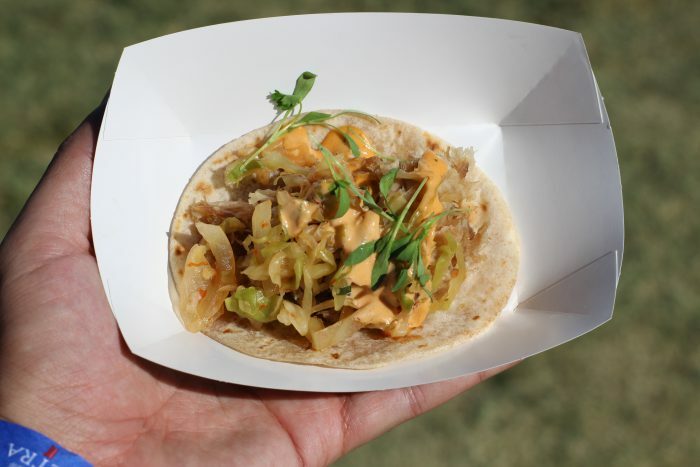 The good news is that that kimchi really took a backseat to the pork belly in this taco, only rearing its ugly head occasionally and letting the pork, cilantro and sriracha aioli do their jobs. I was fully prepared to hate this place because of the name, but was pleasantly surprised by the taco, which I ordered without lettuce. 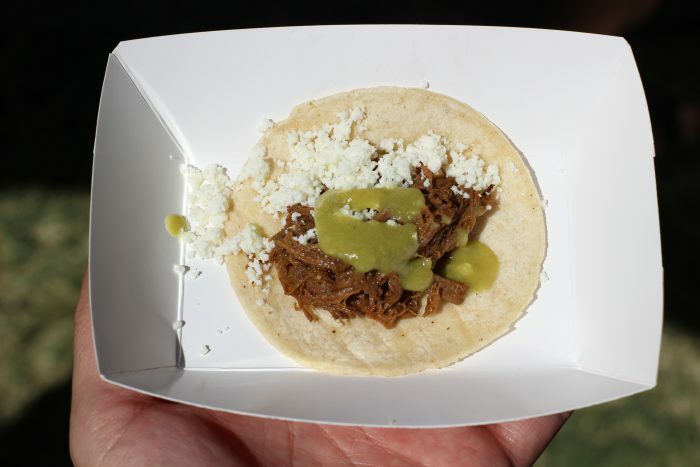 The beef was solid, the cotija cheese was a nice touch and the splash of salsa verde tied it all together. 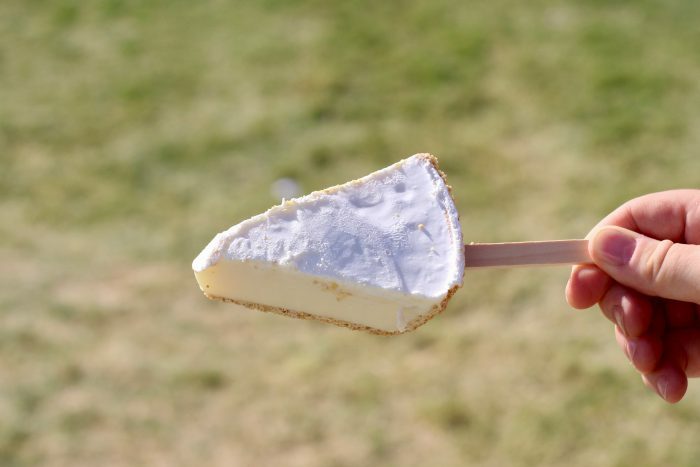 In heat like this, anything cool and refreshing was a winner, but the Frozen Key Lime Pie Bar on a stick from Pinnacle Peak Pie Company (also lacking in brick and mortar location) was the ideal way to cool me off. With a thin, but mighty crust and flavorful filling, this got the desert job done. 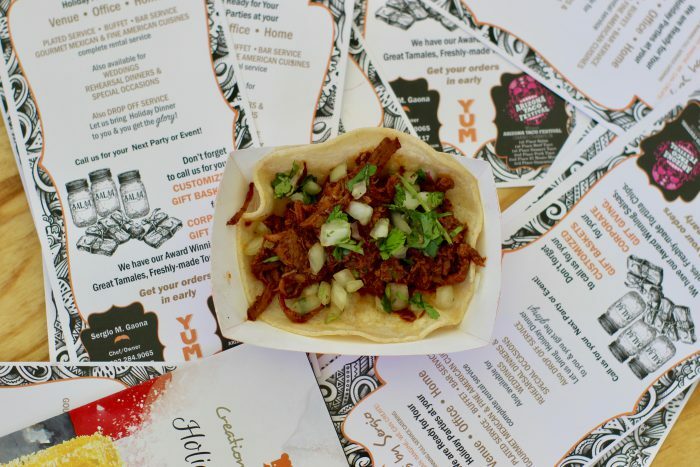 While I couldn’t try everything (and wish I could have), it was obvious that there are some pretty amazing tacos out there for the eating in the Phoenix area. 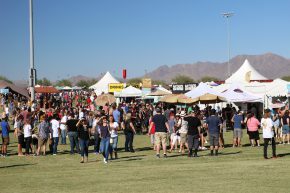 The majority of the vendors were local and even those that weren’t amazing were still pretty darn good. Tacos Huicho deserves its own special shot out for rolling out real tacos al pastor off of a spit, and even though the taco itself didn’t overly impress, I am sure if I paid their real location a visit I would have been mighty happy. After all, what’s a good old fashioned food event for, if not to whet the tastebuds and leave you wanting to try more?